Situated on the south eastern border of South Africa, Mozambique is the tropical playground of South African and international tourists. With over 2000 kms of pristine coastline this tropical paradise offers warm turquoise waters, some of the best scuba diving in Southern Africa and the ultimate in remote island havens. 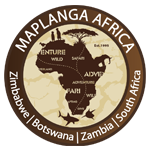 Maplanga Africa offers just the Mozambique holiday package to suit to your requirements - from fly in island holidays to family resort packages. Mozambique is the perfect beach holiday destination to end the perfect holiday to Africa.